Laineybot is one of the people who found fame and fulfilment on YouTube while posting personal vlogs. 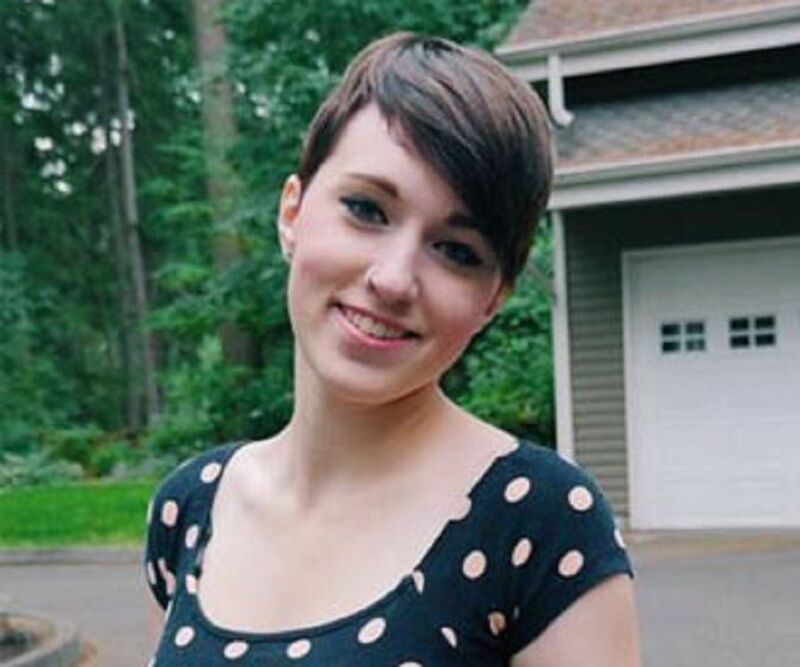 Her main channel, Laineybot, contains videos of her personal life and family matters. She also has another channel, Beautybot, where she posts beauty and fashion video contents. Both of the channels are doing moderately well, attracting an appreciable number of fans. The social media sensation is beautiful, though she has a boyish appearance, with all the masculinity, she is a simple and classy lady. Her love and attachment for fashion are second to none. She is one lady who lives in the moment, capturing every single moment of her life. The online personality makes videos of her personal time with her husband and her family and publishes most of them as vlogs on her channel. Laineybot enjoys family life with her husband and popular YouTuber, Gregory Jackson (Onision). Whenever she is not making videos, she takes time to look after her kids. She is a fantastic mom who also loves to party and travel when she gets the opportunity. Laineybot was born on 16th October 1994, in Las Cruces, New Mexico. She is an American to the bone. And like many others before her, she has managed to build massive success for herself on Youtube. Talking about YouTube, Laineybot started her first channel in February 2015. It didn’t take long before she posted her first video, Girlfriend Boyfriend Tag (Laineybot & Onision). The video went viral and also became a great hit, amassing 1.1 million views as of date. She followed this video with other ones that contained fun and amazing everyday routine contents. Most of her videos are collaborations she did with her husband most of which turned out to be the most popular ones on her channel. She is consistent on the Laineybot channel where she regularly posts contents like dating and marriage video, pregnancy videos, as well as tag videos. Apart from Girlfriend Boyfriend Tag (Laineybot & Onision), she has a couple of other videos that are gaining viewership. They include Husband Cuts My Hair, Never Have I Ever (Husband Edition), and Turning My Husband Into A Girl (Gender Switch 2). Though the channel hasn’t had 6 figure subscribers as of date, it isn’t doing badly with over 380K subscribers. Owing to the fact that she has built her world around YouTube, Laineybot has another channel, Beautybot. She started the channel in September 2017 and uses it to promote her beauty and makeup contents. On the channel, she has awesome makeup tutorials. She has contents like Get Ready With Me videos, hair tutorials, how to videos, and so many other educative videos. As of date, she has over 30K subscribers on the channel. She is also a social media personality. Though, this is a common trend for YouTubers. She has quite a good following on her major social media accounts. She had over 122K followers on Twitter and more than 196K followers on Instagram. The Youtuber is one to go for what she wants without wasting time. She found love and followed her heart at just 18. She got married to Gregory Jackson aka Onision in 2012. Her husband is also a famous YouTuber. He also served in the American Air Force. They have two beautiful kids together. Laineybot and her husband, Gregory Jackson, was on the bad side of social media trend in 2017. They were accused of abusing underage girls. Though no official arrests were made, pieces of evidence against them were overwhelming. The story started with Lane, who had been a follower of the youtuber for a long time. There were speculations that she and her husband tried to sleep with the young fan. The rumors were debunked until Lane loosely said the couple tried to sleep with her. At the time their saga with Lane took a dive, Sarah Ingles’ scandal erupted. Laineybot was accused of grooming Sarah from the age of 14. She dropped out of school in 2017 to live with Laineybot and the husband. The experience was later described by Sarah as horrible. This issue affected her reputation and social media following. She lost a lot of followers as a result of that incident.